How to get good score in board exam. 📺 Click here for the video version of this blog. How to score good in 10th standard Board exam is the concern of many students and parents. Since it is their first exam which is conducted on large scale, it may cause anxiety in last few days, just before the exam. Well I can assure you, there is nothing to worry. 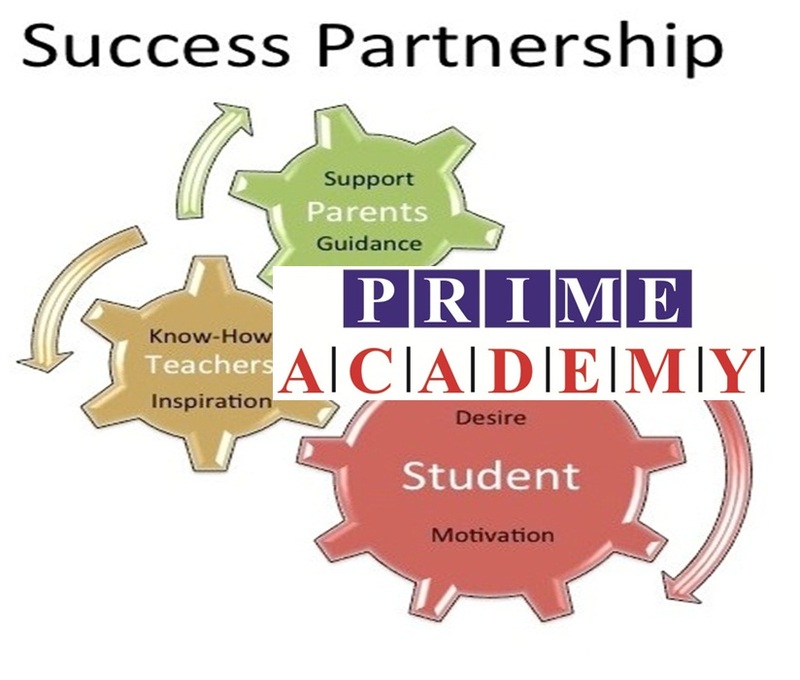 This blog brings you the enormous teaching experience of faculty team of Prime Academy Pune,. 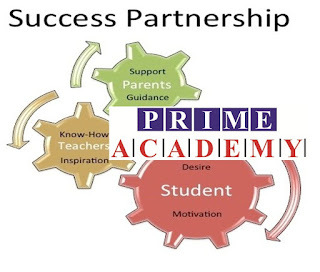 Prime Academy is a pool of IIT graduates like Mr. Lalit Kumar, with many years of experience of IIT JEE teaching and famous authors like Mr. D.C. Pandey. Read this blog thoroughly to increase the efficiency in last few days before the board exam. For those who are more comfortable in Hindi/Marathi, I will post this blog and video in Hindi/Marathi soon. How important 10th board exams are ? 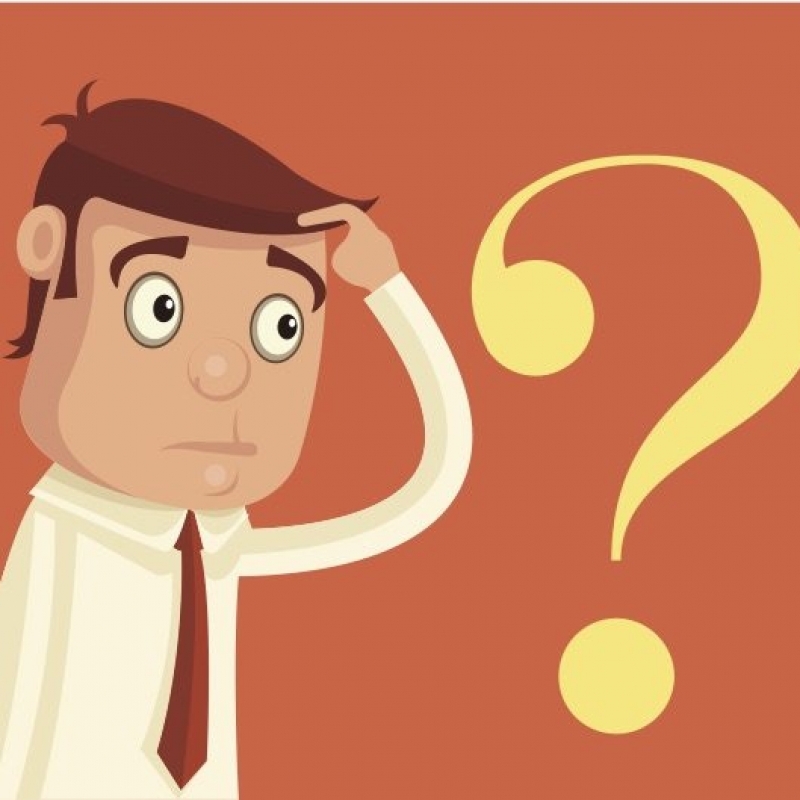 and what is the correct frame of mind to score good marks in board exams ? Fix a routine and stick to it. Planning is one of the most important factor while preparing for the exams. In last few days do “Time bound studies” As per plan, if you have decided to study trigonometry for 6 hours on Tuesday, then make sure that you should do as much trigonometry as you can, in 6 hours only. Don't extend it beyond 6 hours. Because if you give 3-4 extra hours to trigonometry, then somewhere you will have to cut short these many hours from your next topic, as exam timing will not shift by 3-4 hours. Let me give a typical planner, which has helped many of my students to score good in 10th board exams. Students can choose his preferred time to study, it may be early morning or it may be late night, as per his comfort. But few days before exams (3-4 days), I don't recommend late night studies because you may feel sleepy during your exam timing. Get up at 7 am and freshen up. Make it fast and don't waste time in reading newspaper etc. After bathing just meditate or sit alone for 5-10 minutes and say following things to yourself. These XYZ* things distract me and today I will keep myself away from these XYZ* things. I will not feel bad if I lose a mark, but I will curse myself, If i miss an opportunity to gain a mark by wasting my time. If I am not able to concentrate then I will take the help of my parents or mentors. These XYZ* may vary from student to student. In my case I was heavily biased towards cricket and used to go out for 10 minutes and used to come back after 2 hours, drenched in sweat. Many times while sitting on study table also I used to think about matches and wasted lots of time thinking about Sachin Tendulkar and upcoming cricket series. Now a days these distractions come up in the form of Facebook, WhatsApp, friends etc. Kids upload a pic on Facebook and keep on checking “kitne likes aaye”. 9:45am - 10am: Do little bit of stretching and walk. Have a glass of juice. 10am - 1pm: Study time (In this time try to do writing work. This is the time when your exam will be conducted and your body should acclimatize with exam type situation in this time interval. You may take mock (sample) test, or simply do some mathematics/science problem solving. 1:30-2:30pm: Take rest. You can take a power nap of 45 minutes or simply lie down, listening music. Crack few jokes with your parents/siblings/(safe) friends. 6pm-7pm: Break. Go for a walk with parents. Mild sports like indoor cricket, rope skipping, mild jogging, punching bag, ( I used to hit stones with stumps and feel good about it :) Don't indulge in anything, where chances of injury are high. Ask your parents to quiz you with questions from history or geography etc, while going for a walk. This light questionnaire will not be stressful, at the same time many important things will get revised. Parents can carry a sheet with question and answers. Sleep for around 7-8 hours. Just keep away from any type of distraction. No smart phones. No TV. No strenuous sports. No friends. Believe me, its worth keeping away from these things for sometime. Infact parents should also avoid going for outing, inviting guests at home, watching TV at home etc. Do not study new concepts or new book, few days before exams ( except new books of previous year papers and sample papers). This usually adds to unnecessary stress. Instead use the time to revise what you already know. 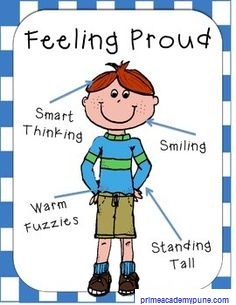 Ask your parents or family members to quiz you on what you have learnt. Your note books will be very helpful at this point of time. Make sure that you revise each and everything which you studied in past. You should not try to study any new concept, unless all your previous concepts are revised thoroughly. If you take 5 hours to develop a new concept, then in same 5 hours, you can revise 10 old concepts and chances of getting a question from those 10 concepts is 10 times more than 1 concept. One should plan his or her schedule in such a way that out of 60 minutes (one hour), 50 minutes should be dedicated for study and 10 minutes for revision. Have you ever observed that you tend to read and remember almost everything in newspapers, which are pasted on walls and windows. They are not important, but those papers come in front of eyes so many times, that you keep on reading them multiple times, when you have nothing to do. A very simple eg, in Prime Academy Pune, there is list of students who were toppers of IIT JEE in Pune, on the outside door. Now even postman and office boys remember many of those names as they keep on seeing those IIT JEE toppers name on daily basis. Likewise you can paste the sheets and charts of many of diagrams and formulas on yours walls, which will keep on coming in front of your eyes very frequently. But don't waste time in last few days in making these charts and sheets, if you already have, then simply paste them. In case you don't have, then roughly write few formulas etc on sheets (pasted on walls), without wasting much of time. Solve as many previous years papers, as you can. Various sample papers and 10 years previous papers are available at the bookstores in the market. Try to solve them or atleast just go through their solutions. This will not only help you track your performance, but also familiarize with the structure and format of the real exam. Many of the 5 and 6 marks problems are repeated after every 4-5 years. At this time, more than your knowledge, your ability to perform in exam environment is important. Give yourself a preset time constraint and try to take board pattern sample test, within it. It will kelp you to learn time management skills. You will get a fair idea of length of answer and time for any given question. Many students prefer late night studies as they have better concentration level when world is asleep and there is nothing to distract them. For late night studies, you should keep a thermos full of tea or coffee with some glucose rich snacks to provide instant energy. Dinner should be light, as stuffing too much of food, will make you sleepy. Parents must keep a random check by paying surprise visit to their study room to ensure that they are not wasting their time elsewhere. 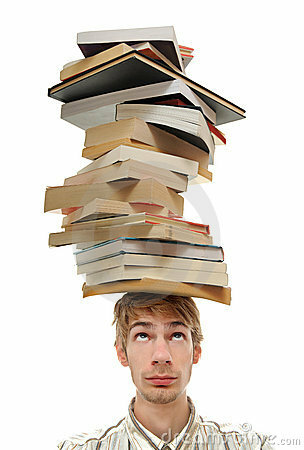 Make sure that anything, which may distract, should not be kept in the vicinity of their study area, eg. Smart phones, novels, TV etc. Late night studies should be stopped, when board exams are going to start in next 2 days. During exams, students must synchronize their biological sleep cycle, with board exam timings, i.e. they must be awake and preferably study or take some mock test at around 10am. That way students will not feel sleepy in actual exam. If you are in habit of getting late in morning then you will be sleepy during exam time. You will experience the same feeling which indians experience, when they fly to USA, where timezone is different. Jet Lag! Way of presenting your answers in exam, is very important. Your answers should be in points for Social Science and Science (Theory). Make a neat and clean table in the questions asking for difference. Underline important lines, which should be noticed by paper checker so that he can make a right mindset about your answer. Paper checker gets first impression from your handwriting and neatness of your answer sheet. Whenever you want to take a break, just go for a mild walk or play some light sports with your parents, siblings or close friends. 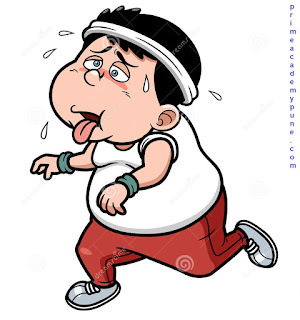 Avoid strenuous sport, as you will get tired and will not be able to concentrate on studies because of tiredness and probably will fall asleep soon. Chances of injury also increase in strenuous sports. Any injury during last few days of exam can be be disastrous. If for any reason, you are not able to get scores at par with others, don't worry. Each one is differently-abled. Many students did wonders in life without doing great in 10th board exams. You just concentrate on your performance, without comparing with others. After 10th board contact us, we will guide you for best possible strategy. Try to find a quiet place to study, where not many people should visit, as their visit may disturb you by breaking the flow of your studies. If possible keep laptop, computer, mobile phones and novels away from your study area. Make sure that proper ventilation and illumination exist at your study place. Bottle full of water must be there on your table so that you need not get up again and again. What kind of diet you follow is very important. You need to feed your body and brain with healthy diet like green leafy vegetables, nuts, fruits, milk, etc. Say big no to junk foods, aerated and packed drinks. Outside and unhygienic food may cause some health problems. If you have to step out, you should carry a lunchbox, home made snacks or packed biscuits of standard brands and a bottle of water. You should be drinking eight to ten glasses of water each day because even mild dehydration may negatively impact the status of the brain. Drinking fresh juice will make you feel very much refreshed and your state of mind will improve. If you do morning walk and mediation then that will further boost your state of mind by enhancing your concentration and make your studies stress free. Make sure that you take proper sleep on daily basis. Be in contact with your mentor for guidance. In case you are taking assistance from some teachers or your parents for studies then you should be in touch with them and follow their instructions. A major part of the exam contains direct formulae and theorem based questions. You need not do unnecessary research in any concepts and formulas in last few days. It is a high-scoring subject, and also requires lesser time for preparation. Study name reactions; make charts of formulae along with names and revise them as and when possible. It includes lots of diagrams, give special attention to important diagrams and their theory. Stick the xerox of these diagrams on the walls. You should remember the important terms and their respective functions. Repeatedly write difficult terminology for learning and memorizing. Practice by solving previous year board papers, as they ask very similar problems. Don't get tensed in exams, or else you will make silly mistakes. It contains lots of facts and data base of important events, names, periods and dates of different historical occurrences. Ask your parents to quiz you daily about it. Study, revise and answer questions from time to time. Very high scoring problems are asked from latitude and longitude. Practice them extensively. Read and write a lot of essays and letters in Hindi and English of each type. Check the format of letter as prescribed by your board. Go through previous papers to know the trend, there are many boards which ask autobiography "jeevni" of poets and writers, every year. Mug up all the relevant details like their date of birth, famous publications, place etc. Its very scoring. Completely understand all stories and poems so that you are able to write answers to all the questions asked on those chapters. Well a very crucial day! You need to be very strategic about it. A positive attitude, keeps your mind open and body relaxed, which makes it easier to concentrate and recall whatever you have learned. Positive attitude is very helpful during studies and more importantly, during exams. Lets see how it works. Anxiety, before exam may result in disaster. Because of anxiety, brain starts focusing on overwhelmingly negative thoughts and students start foreseeing themselves to be a failure, which ultimately reduces the brain’s ability to absorb and recall whatever they have studied. You have to get out of this anxiety. But how ? Answer is in your mind ! Its very simple. Just try to induce more and more positivity in your mind. 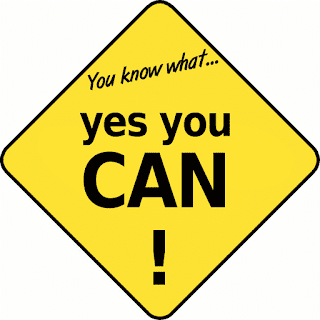 Positive attitude will lead to confidence and subsequently keeps your anxiety at bay. Recall those tests where you scored good marks. If you could do it earlier, why cant you repeat your performance? Almost 70-80% of the questions in board exams, will be coming from your lecture notes, textbook etc which you have already solved in past. You have done hard work. Believe me hard work always pays. Sleep properly for 7-8 hours to make your brain as well as body to relax. Brain need to rest, to be fresh and remember well for the exam. A sleep deprived mind, may cost you 4-5 % marks or may be more. Get accustomed with situation even before. Make sure that you have visited your examination centre before your actual day of exam. A day before the exam, do a rehearsal in mind, by imaging a situation, that you are giving exam at center. Mathew Hayden used to sit on the pitch of cricket field, a day before the match and used to visualize, the position of all players. That helped him to perform better in many matches. Unwind with some music of your choice. Go for a long walk and get little tired, it helps to sleep fast. 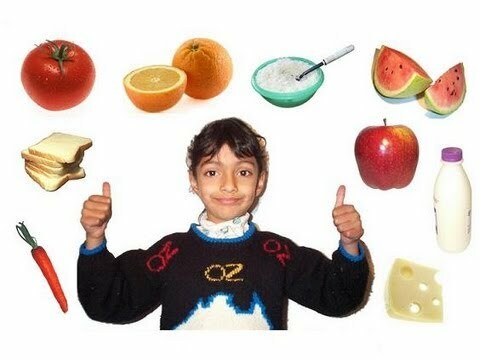 Eat properly, and a balanced diet. Don't try to under eat. Try to take a lot of fluids. Juice is the best. Fruits are also highly recommended! Avoid outside food. 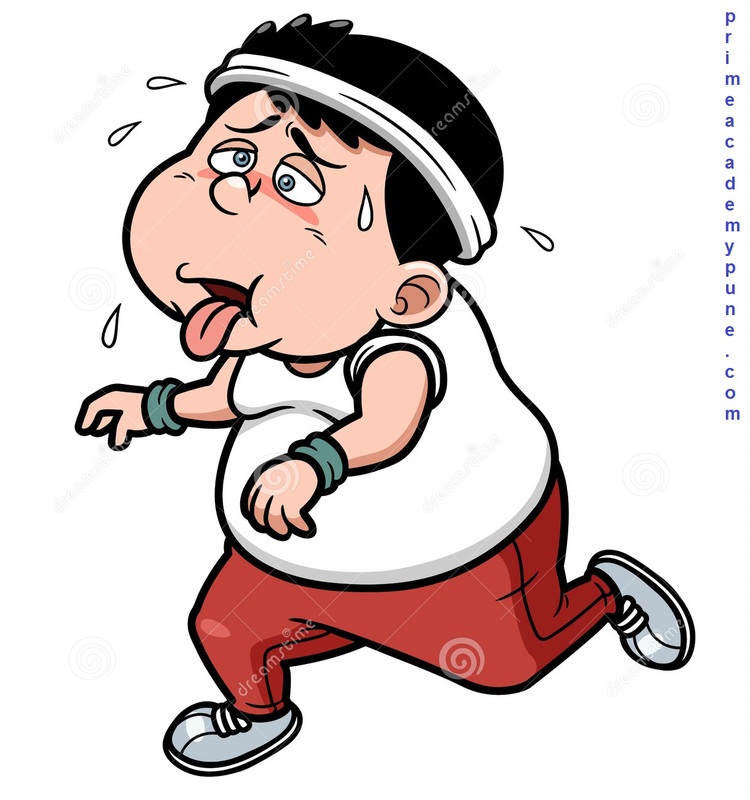 Try to go for morning/evening walk. Avoid getting stuck in 4 walls alone, which might induce negative thought in your mind. Try to feel happy and relaxed for the whole day. If at all you want to call/meet your close friends, avoid talking about exams. Make sure you have all the Pens, Pencils, Scale, sketch Pens, Eraser and sharpener, ready and you don't have to make a last day effort! Also, keep your Hall Ticket Safely with a photocopy with your parents. Use a fair pen which adjusts your hand. Take blessings of your mentors, parents, elders and all supernatural powers you believe in! Don’t waste energy in talking much. Request your parents and friends to avoid talking about the upcoming exam on last day. Avoid studying on the last day. Still if you feel like opening books then just review few formulas and don't try solve any practice problem. Use last one hour before the exam to relax so that you can concentrate better at the time of the examination. Think about everything else except the examination you are going to appear for. Classrooms are opened 30 min in advance, just reach the place 30 minutes before exam hall gates open and try to get acclimatize. Take deep breathes to increase the oxygen supply in your mind. Ensure a very positive and aggressive body language while entering the examination hall. Get in the hall like a lion with your chest pumped up. Confidence should be visible on your face and body language. “I am the champion, dekh lenge es board exam ko aaj” should resonate in your brain. Make sure that by mistake you are not carrying any book or paper in your pocket and geometry box. Read all the instructions on the cover page of your board question paper carefully. Many times there are very important instructions, which will be very helpful for you. While waiting on your seat, before the start time of the exam, close your eyes and take deep breath for more circulation of oxygen in your body and brain. Just try to calm down and convince yourself that you are not running in a race. You just need to be in your senses for next 3 hours and give your best. That's it ! If you can remain calm and composed during the exam, then you will surely crack the board exam with flying colours. Avoid talking or communicating to anyone. Keep chilled water/glucose, Hanky, Gud (Jaggery). After you get the question paper, spend five minutes to glance through it. 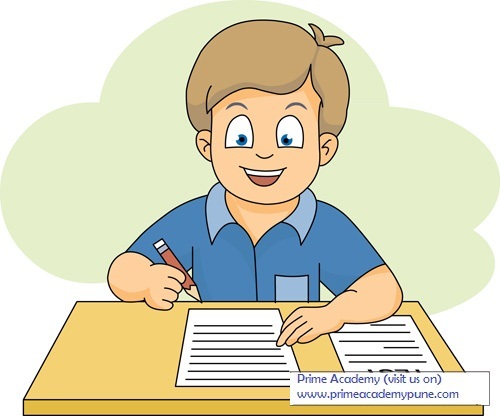 Start your answering from the questions which will carry maximum marks as well as which you think are easy. Do not waste time if you get stuck with a question. Quickly jump on the next question. Once all easy and moderate questions are done and you still have some time, then come to difficult problems again. After completion of the paper, if some time is left then don’t leave the exam hall. Revise the paper carefully, may be there is some unattempted question or may be there is further scope of improvement in few questions. Don’t try to gain glory in exam by pinpointing any mistake in the paper, you will not get any oscar award form any such achievements. Simply ignore that. Be ready to face any unexpected situation in Board exam hall. Delay in receiving Question paper: During exams, it may happen that you will get 5-10 minutes less than allotted time, as sometimes by mistake invigilators start distributing the paper exactly at the start time of paper and reach the last bench 5-10 minutes late and at the end of the paper they may start collecting your board exam answer sheet from your bench. Take it lightly, you still have lots of time and can score good marks in board exams. In a 50 over cricket match, if a team has to score 300 runs, then it is not necessary that in every over they will score 6 runs. There are few maiden overs where scoring was zero and there are 10-15 overs where, they score almost 15 runs per over. Just imagine that those lost 5-10 minutes are your maiden overs. If you keep on thinking about those 5-10 minutes, then unnecessarily, you will end up wasting rest of your precious time as well. That's what we call, being positive ! If you are not able to solve first few problems: In case you are not able to solve a problem, don't waste time there and just skip it and jump on the other problem. May be that is a tough problem. Sometimes it may happen that you are not able to solve 2-3 problems in a row, in that case chances of getting a black out are high. Just relax! Keep the paper aside for a minute and take deep breath with closed eyes to release your brain from all the surplus information. Extra oxygen in brain will be helpful. This simple technique will work wonders for your mind and you will start solving rest of the paper easily. It’s worth investing that minute in refreshing your brain, so that you can attack rest of the paper like a lion ! BELIEVE IN YOURSELF. 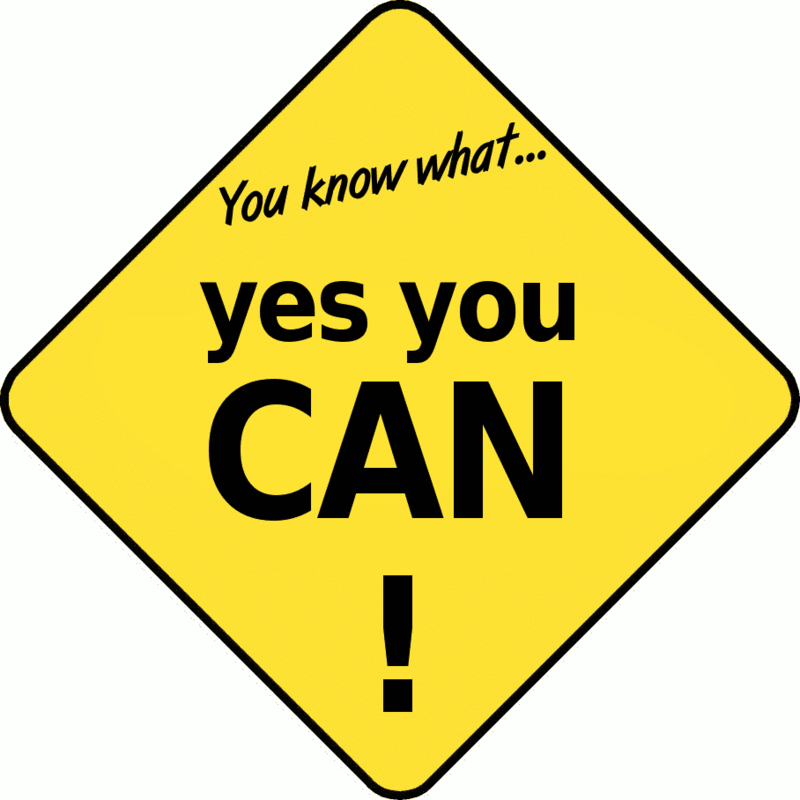 YOU CAN DO IT !